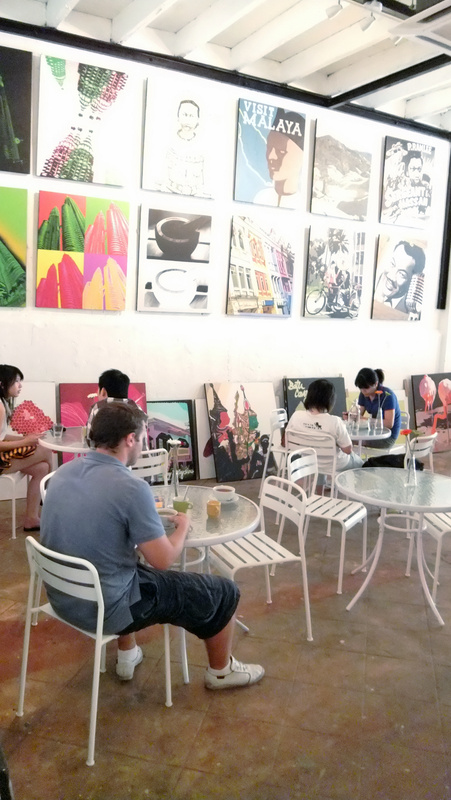 Brilliant new art gallery and cafe in downtown KL – best coffee in Chinatown, and coming soon, the best steak in the city! Now some may call me a little predisposed to this joint, as it is owned by the little chickadee (L) and her talented husband (K). That notwithstanding, it’s a huge improvement to Chinatown, and downtown KL generally. 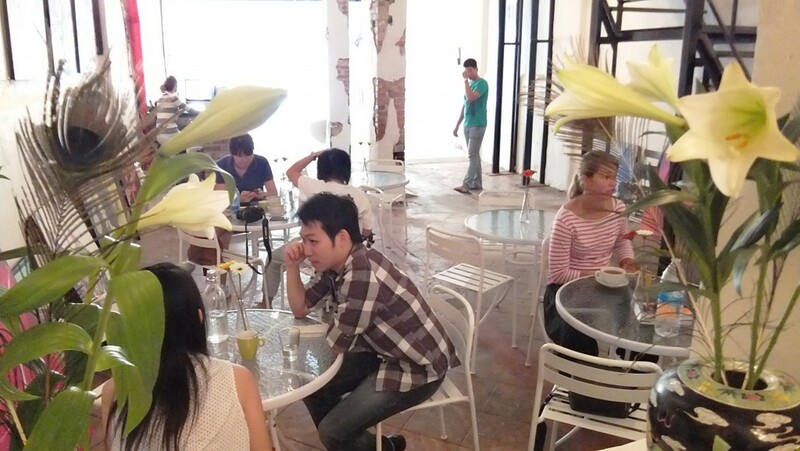 Previously, if you were down in this area, visiting the Petaling Street or the Kasturi Walk markets, or the Padang, or staying at one of the downtown hotels, there was essentially nowhere you could get a decent cup of coffee and chill. That’s because coffee is not a Malaysian specialty or habit, so many of the coffee chains look the part but serve a dreadful cup. On the other hand the Warehouse is a huge, open space with the best cup of coffee I have ever tasted in Malaysia. Now how can this be, you ask, surely David he exaggerate here? Well I think not – L&K have invested in the cream of coffee systems, the Vibiemme Domobar Super featuring the famed famed E61 group head design. This impressive combination of Italian steam componentry and lovely engineering, is spoken of in hushed terms as capable of achieving the mystic god shot, and for sure in the hands of Seattle-trained barrista Jesse, or cool front-of-house man James, it generates a really great cup of Illy. 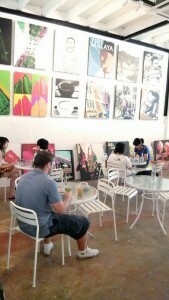 The Warehouse is a huge space with cafe-style tables in the front, under the artworks (all for sale), and a relaxed seating area at the back with comfy seats and bar stools. Big vases of flowers and the full-face front windows give the gallery a light and airy feel, and this is emphasized by the 15 ft ceiling and down lighting. And this place is air conditioned – but not oppressively so – around a normal European temperature and humidity as opposed to the ice-boxes that you often have to endure for a cup of coffee over here. Big contemporary canvasses from Malaysian and Bali artists are on display from around R450, and a selection of local and art photographs and posters are shortly going to be available at lower prices. There is free wi-fi, and it’s noticeable that locals and travellers now come here and get work done, as well as relax and look at the walls or the life going on in the Chinatown street outside. And speaking as an old fogey, the music is really pleasant – unobtrusive, but enough to have you occasionally tapping your feet (including last week, an extensive Van Morrison mix, which you don’t get to hear that often in public spaces). Out in the back, coffee is served along with pastries, ice-creams, and K’s specialty huge sandwiches, with the likes of rare roast beef, ham, and turkey, and healthy salads. And of course the usual array of juices, smoothies and ices. The cafe and gallery is the first part of L&K’s plan for this great space. 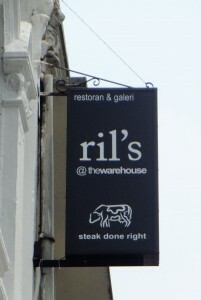 The upstairs has been transformed also, and has already opened as ‘Ril’s – steak done right‘, towards the end of September. This is going to be a real asset to KL’s food scene – I have eaten in many of the ‘top’ places here, and they all favour form and flash, over content and taste. K is a great cook and creative chef, and the equipment he has installed upstairs to create the super-high heat needed for a great steak is quite awesome. They have just got some awesome reviews from the excellent ‘Eat Drink KL Blogspot’ – check these out. And the third, the rest of the menu. Ril’s offers a combination of great meat, classic appetizers, and fine cheese and wines, that I have been looking for since I first came here. I’m hoping they may comp me a meal or two when they open. So there you go – a great new place to try when you are next in KL, say hello to L&K for me when you go! 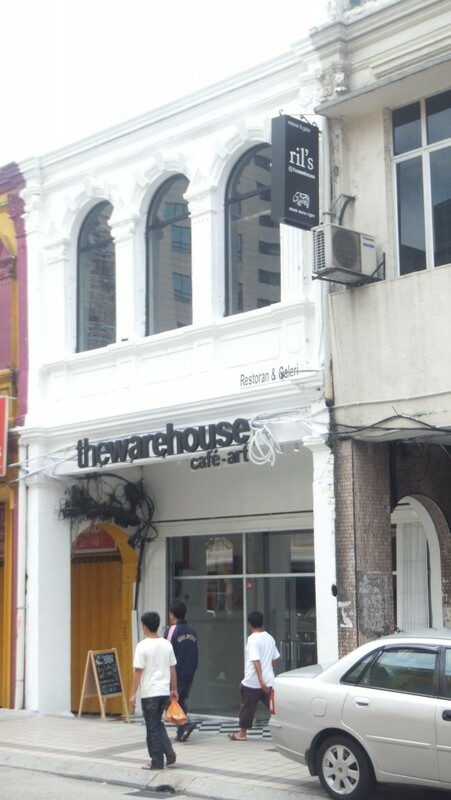 The Warehouse gallery and cafe, and Ril’s are all at 198 Jalan Tun HS Lee (just down the road from the Reggae Bar), and their site is now active at www.thewarehouse.com.my. Their phone number is: 03202 20528. By the way, there is lots to do and see when in Chinatown – the image gallery below shows a few examples of the delights within a few hundred yards. Click on the ‘i’ button at the top right for info on the photo. The snaps are best seen in full screen – to get that click the button at the bottom left, and click ‘esc’ to get back to the blog.